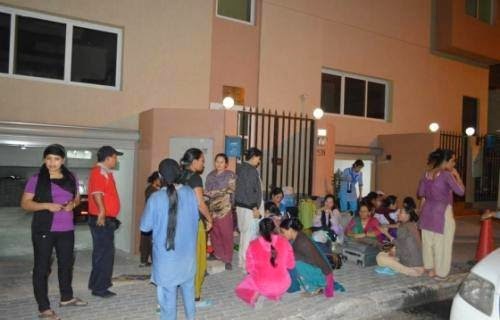 Nepali women domestic workers in Kuwait as a torch from Kuwait Kuwait Nepali women who are destitute. 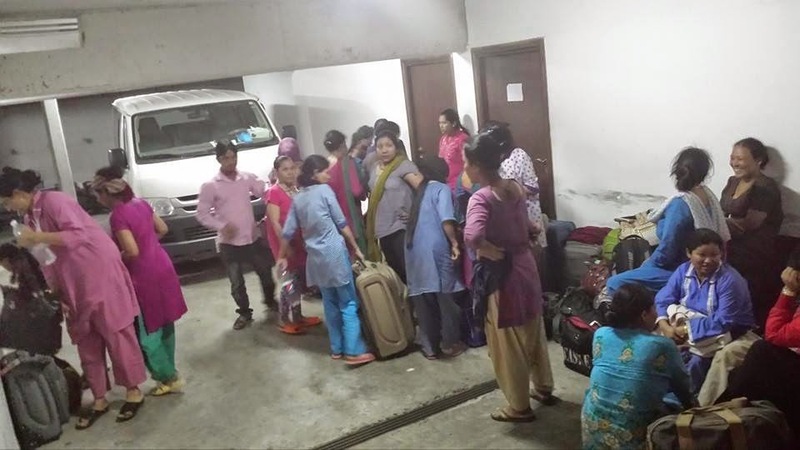 Nepali lining streak of operation of the shelter out of 27 women were stranded on Tuesday late nights on the streets. 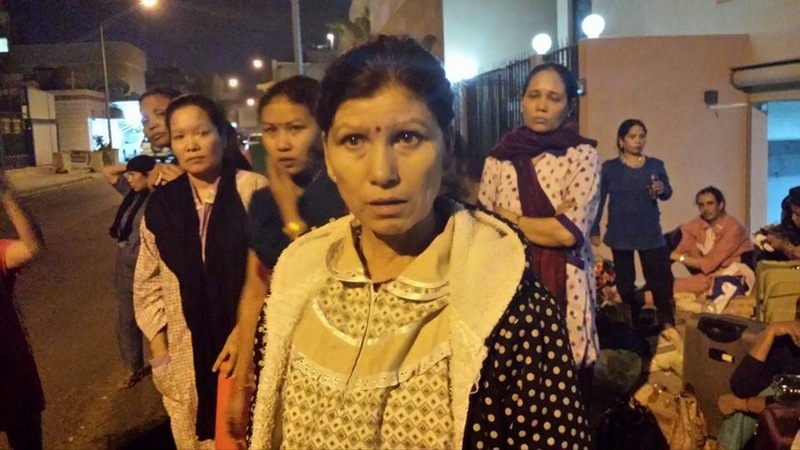 उनीहरुलाई एनआरएन लगाएका संस्थाका प्रतिनिधिको रोहोबरमा दूताबासको कार पार्किङमा बस्न लगाइएको थियो । उनीहरु बिभिन्न खाले समस्यामा परि नेपाली दूताबास कुवेतले संचालन गरेको सेल्टरमा शरण लिन गएका थिए । सेल्टरमा बसेको ६ महिना देखि एक बर्ष बितिसक्दा पनि दुताबासले उद्दार गरी नेपाल नपठाएकाले बिद्रोह गरि बाहिर निस्केको पीडित महिलाहरुले बताए । हामी कुवेतमा काम गरी दुई पैसा कमाउन आएको हो । महिनौ बितिसक्दा पनि हामीले न त साहुको घरमा काम गरे बापत पाउनु पर्ने पारिश्रमिक पाइयो न त नेपाल जान ! They wore the organization's representative portfolio foil lining stay car parking was banned. They have different types of problems to take refuge in shelters in the operation of pitch Nepali lining streak was gone. Shelter held 6 months to a year later, dutabasale rescued the victim came out of the women said that using International napathaekale rebellion. We earn money from Kuwait to work for two. After long months of working at home, we did not owe it to the remuneration Jaharman found not go back to Nepal!